Formed in the halls of their local college, Shadowlark, have segued into the public consciousness seamlessly over the past year, combining the ethereal and visceral with unnerving aplomb. The trio’s front-woman, Ellen Smith, is the charismatic counterpoint, bleeding her personal experiences into raw and emotive compositions. A powerhouse who operates in the same vein as Bat For Lashes’ Natasha Khan or London Grammar’s Hannah Reid, Smith spins webs of wispy tales with keyboardist Chris Quick and drummer James Warrender fleshing out the lush landscape. 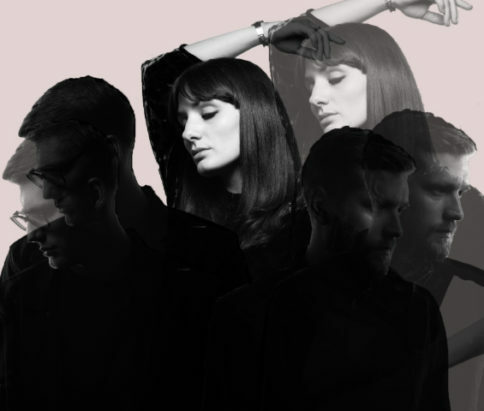 The band’s debut single, ‘Control’, was released in 2017 and now their latest single, ‘Hunger’, a dizzyingly, beautiful ode to a former relationship, is having its much-deserved time in the spotlight, too, featuring on BBC6 Music innumerable times.